Smofcon 35 was an important experience for me. It was the first time that I was able to attend a convention in the USA. 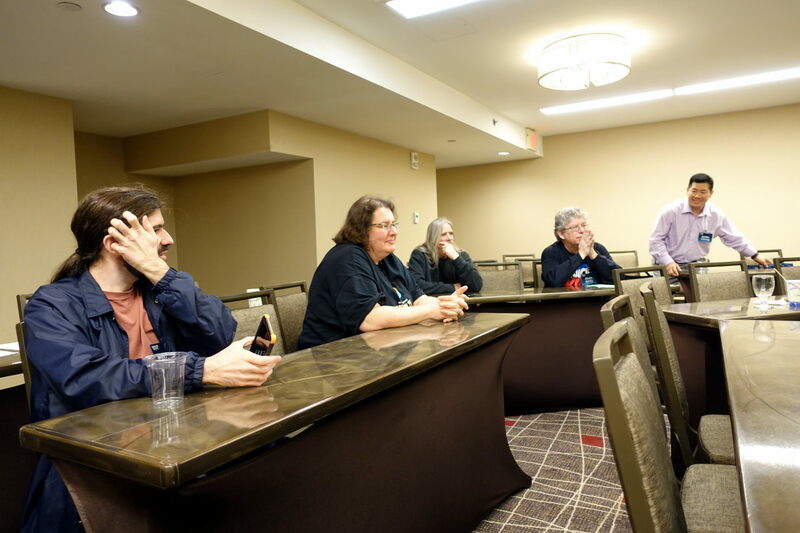 The nature of the con was, however, not typical for US, as Smofcon is a convention dedicated to conrunners and the programme is circling around conrunning and not any SF/F issues. Still, it was a great opportunity for me and I am really, really happy I was able to attend it. I’ve known about Smofcon for some time, but wasn’t able to attend it. The trip was too long and too expensive. This year, however, I realized that CanSMOF is offering scholarships to attend Smofcon and I decided to apply for it. 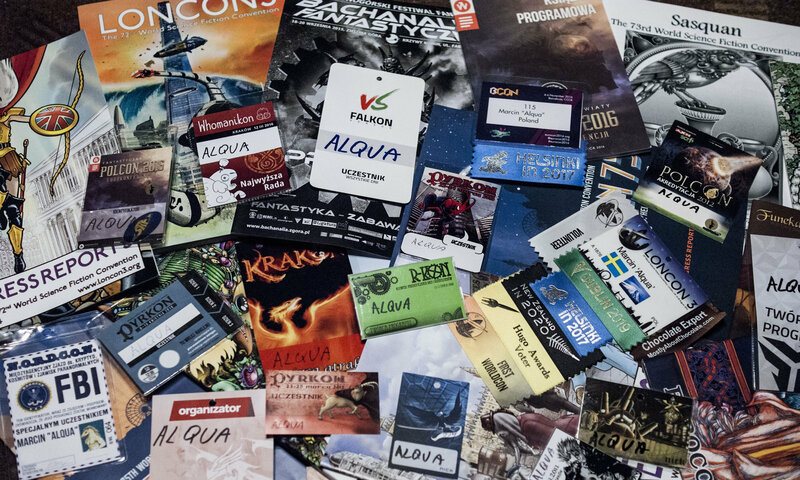 As some of you know, I already participated in two similar conventions this year – Conrunner and KONgres and I thought that Smofcon might be a valuable opportunity to broaden my theoretical knowledge of conrunning. Once I sent my application for the scholarship, I had to wait for some time and I was a little bit nervous what would come out of it. Finally the day has come and CanSMOF announced who received the scholarship and I was one of the three individuals who received it. Of course I was really joyful and slightly panicked at the same time. I managed to get a visa, buy tickets to Boston, reserve shoulder nights at a hostel and I found someone to share the hotel room in the convention hotel. And when the day has come, I took off to Boston and enjoyed both the con and the city. The first and the most obvious difference when comparing Smofcon to European cons was the consuite. It is a place where the food is being served for the members. 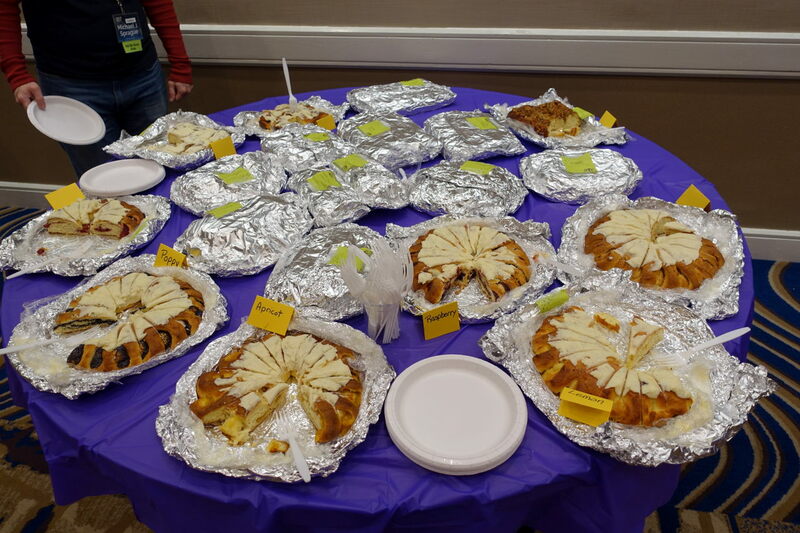 On Smofcon there was a lot of sweets and snacks but sandwiches or cereals where also available. Food availability made the consuite and the nearby lobby a good place for socializing, as lots of fans where there. During Conrunner 4 in Nottingham, lunch was also available but it was just around one hour during the day and the atmosphere was simply different. 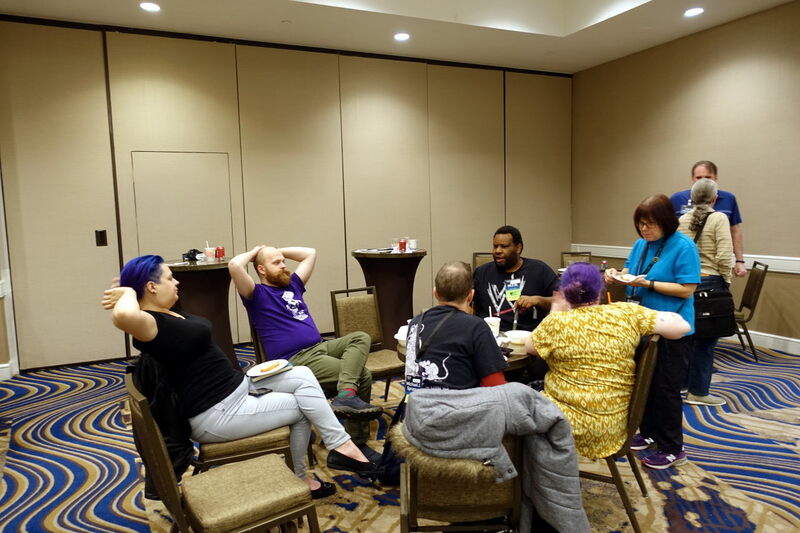 I could write more about the food during Smofcon, I could describe the journey I took with a couple of fans to have a chocolate lunch at a hotel nearby in a great detail. I will stop here, however, to show you this picture and I will move along to topics that are more convention-related. 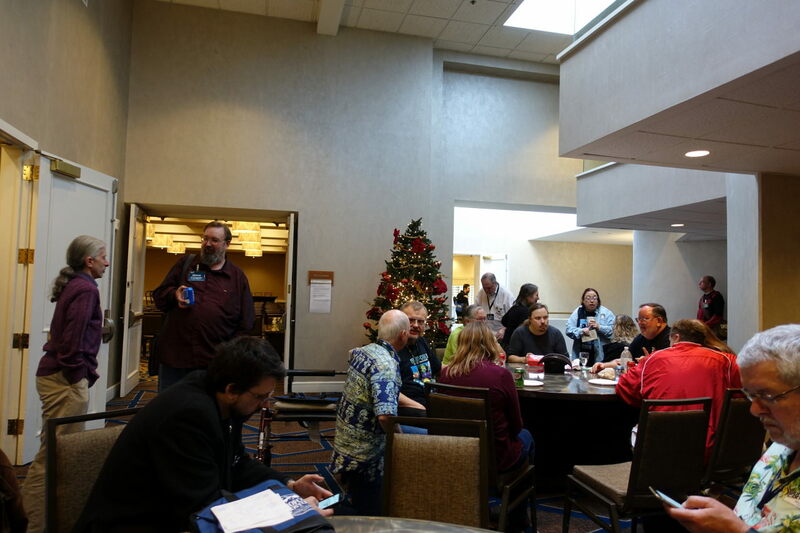 Smofcon is about meeting people, sharing experiences and learning. One of my current goals is to develop my skills in the area of programming. It is not a completely new topic to me, but I do believe that there is plenty to learn for me in this area. Out of the items I have participated in, two were important in this regard. Diversifying programme was a long and interesting discussion. Of course it was not an easy to do list. Panellists were rather concentrating on showing their approach and reasons behind it. 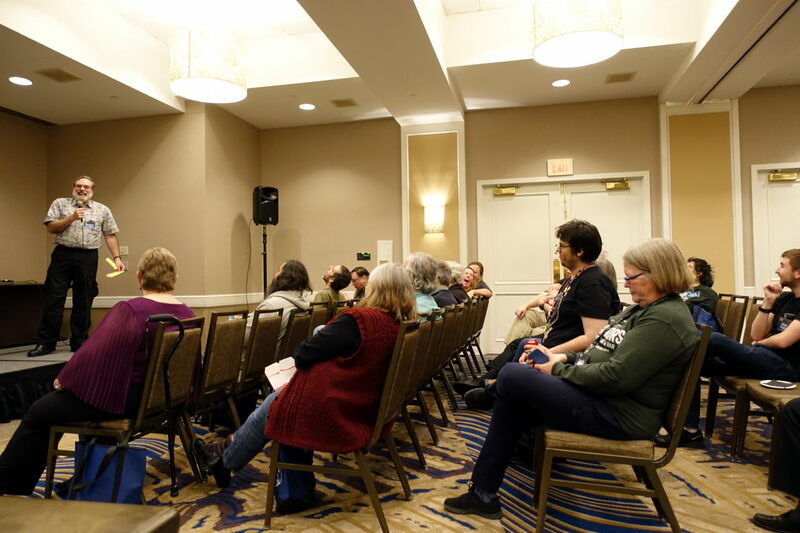 I have a small issue here with the fact that the discussion, though interesting, was trailing off to topics not necessarily strongly related with the topic of the panel. The two hours inspired some thoughts and ideas in me. The most important (even if obvious) take away message is that we should treat diversity as a goal, but we shouldn’t fall into the pitfall of tokenizing programme participants. The second pitfall mentioned by the panellists is tagging participants instead of trying to understand them. It is way better to remember that writers are not only writing books – they also have their hobbies and passions that we should consider while creating programme. Before going to Smofcon, I had the feeling that the Fannish inquisition is one of the items one should really participate in. At the same time the comments and discussions on the internet suggested that this item may not be very pleasant. I got the feeling that the whole inquisition is rather not nice and that fans may want to try to prove to concoms that they are making mistakes or having issues. Despite that, I decided I want to see it with my own eyes. How wrong I was! The whole item was definitely nice and I enjoyed the atmosphere. Of course I do expect that people being questioned were stressed, but I saw a lot of positive feelings in the audience. I really liked it how the inquisitors were wording their questions and lightening the mood. 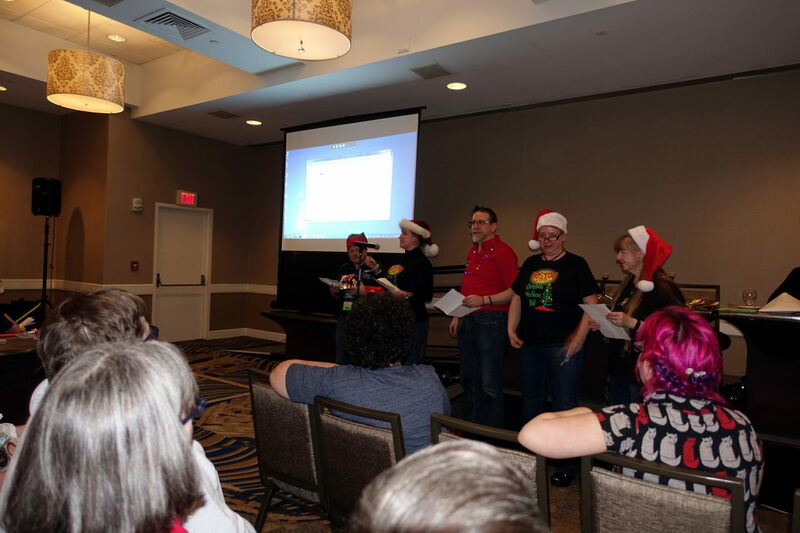 Thinking back, I am not sure why I had this false impression of the Fannish inquisition before I was able to attend it. Probably, apart form some of the discussions I have seen on the web, it was the name itself that suggested it wouldn’t be too nice. Now I am really happy I was there. I learned some important stuff about future conventions and bids. 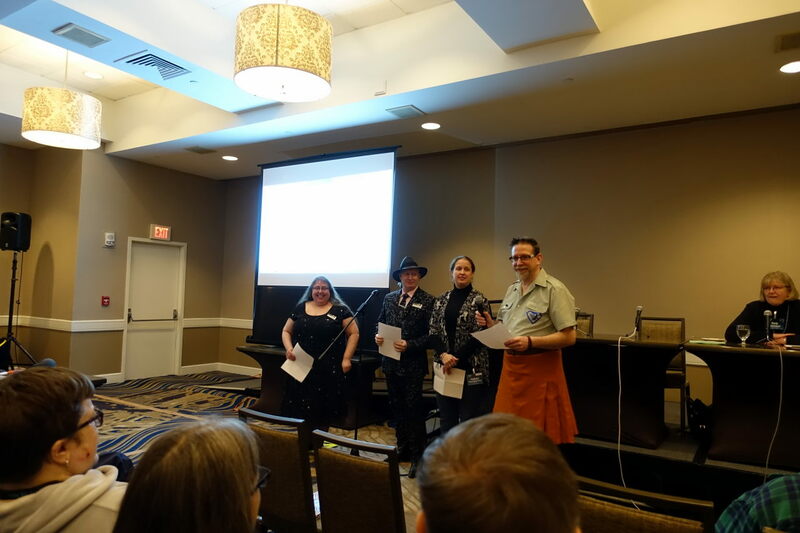 I also had the opportunity to see a hoax Worldcon bid in action and it was awesome. Back in 2015 I heard that there is a role playing game for conrunners. Being a gamer and conrunner myself, I decided I have to test it. I was quite happy that on Smofcon I had the opportunity to not only buy the game but also play it. 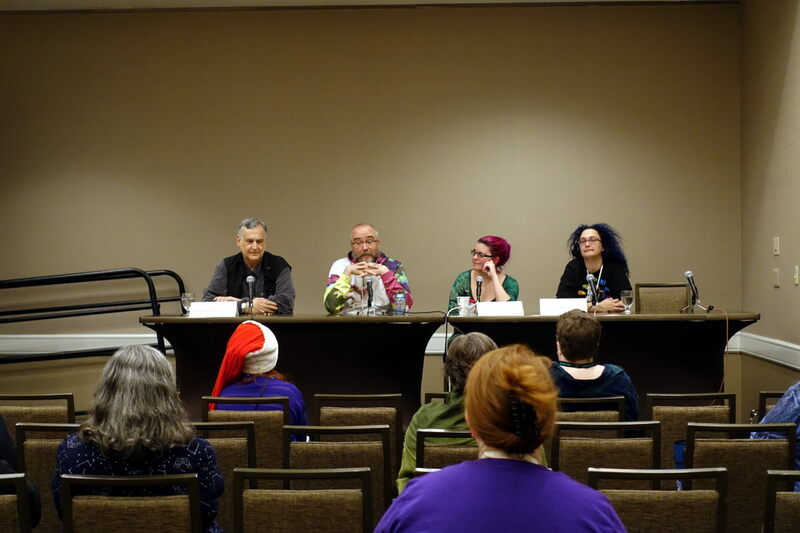 On Friday evening, instead of going to the party in one of the rooms, I played the ‘If I ran the zoo con’. It was really awesome. The game was really funny and the explanations of some of the situations that came afterwards were… somehow terrifying, but also funny. 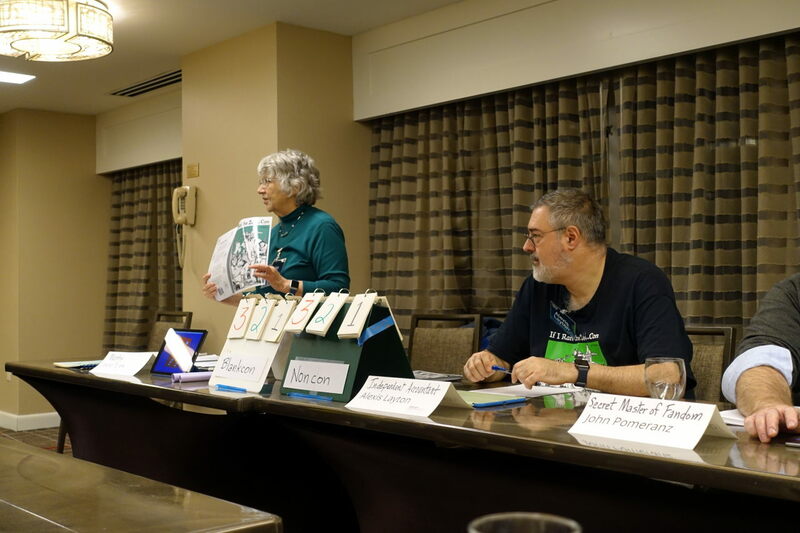 ‘If I ran the zoo con’ is not a typical roleplay I am used to, but it is worth the time you’re investing into playing. I find it also educational. It doesn’t show you how to organise a convention or which decisions are good. What it does gives you is the opportunity to learn how to make decisions in a limited amount of time. It also helps you to realize that good decisions are not everything that makes the convention. I only regret that nobody tried to drag me into a concom of any convention. 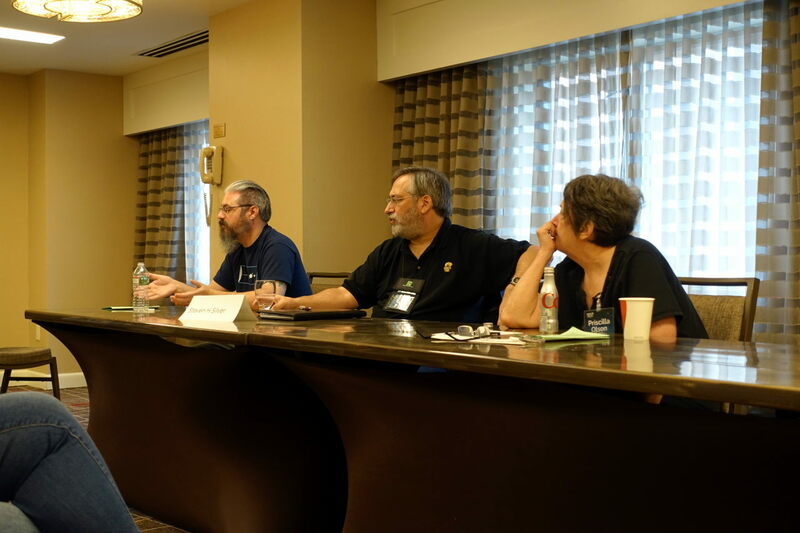 Maybe it is related to the fact that the only one I can attend geographically is Dublin 2019 an Irish Worldcon, and I already discussed whether I could join the team. All in all, I had really a great time in Boston. 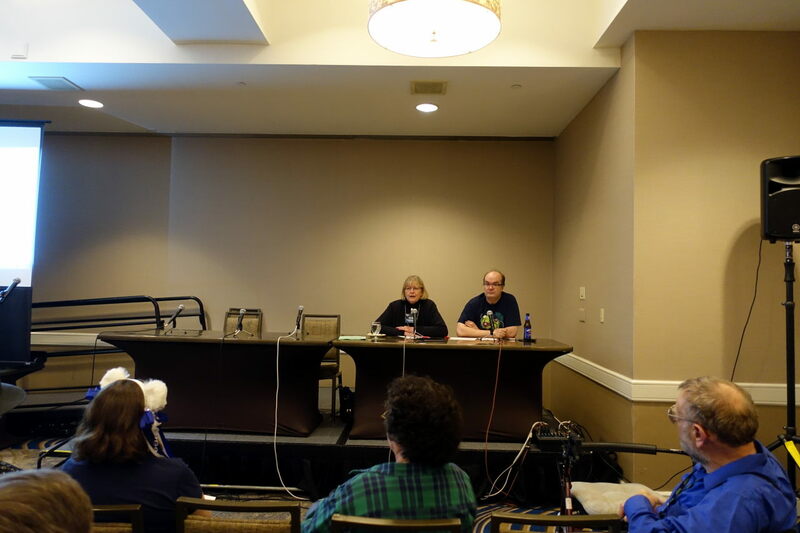 It was worth to attend the con from both programming and social perspective. I really want to visit some Smofcons in the future. For sure I won’t be able to do this each year, but I certainly hope it was my first but not last convention from the series. Audience during one of the panels. I do see some ideas that we may “steal” from Smofcon to make Polish KONgres a better experience for all attendees. 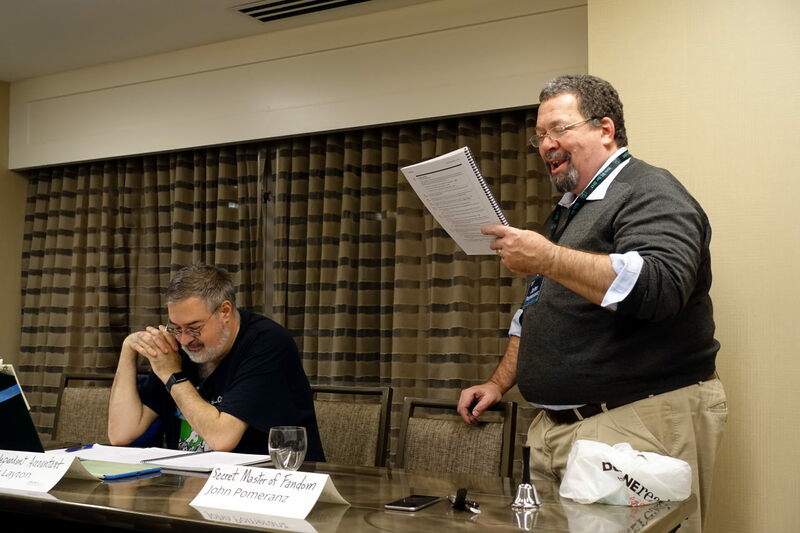 Here I am thinking mainly about the ludic parts of the con – as it certainly helps to build the friendly atmosphere and openness. So I already let my friends from KONgres team know that I would like to have some time in the evening for ‘If I ran the zoo con’ and I also think that an icebreaker programme item may be worth adding. Here I would like to thank the whole CanSMOF team thanks to whom my trip was possible. I also would like to thank them for some encouraging discussions during the convention itself. My next post will treat about Nordcon XXXI and will appear in close to the end of December.